A product finder is an excellent conversion tool for your store. Create a fun and friendly shopping experience all within Messenger! 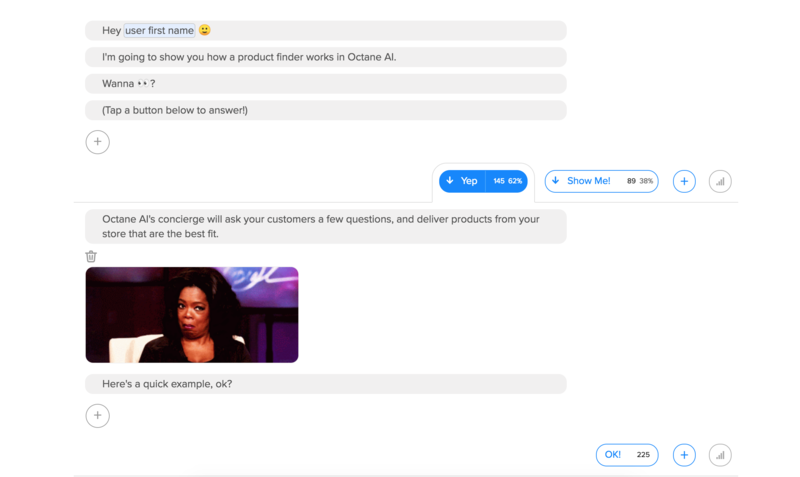 To setup a product finder, first create a new Convo. Write a quick intro in the first section (or two) of your Convo. Set the replies at the end of your intro to route to a New Tangent. This is where you will ask your customers the first question of the finder. Write the first question of your finder in this first tangent. This question should be the most broad. Your questions will become more specific as the finder continues. Route each of the replies in this first question to their own unique tangents. ...and repeat for every question and result in your finder. All questions, answers, and results should route to a New Tangent as opposed to the Next Section. Once you’ve created enough questions to produce a unique result, add a product from your Store. 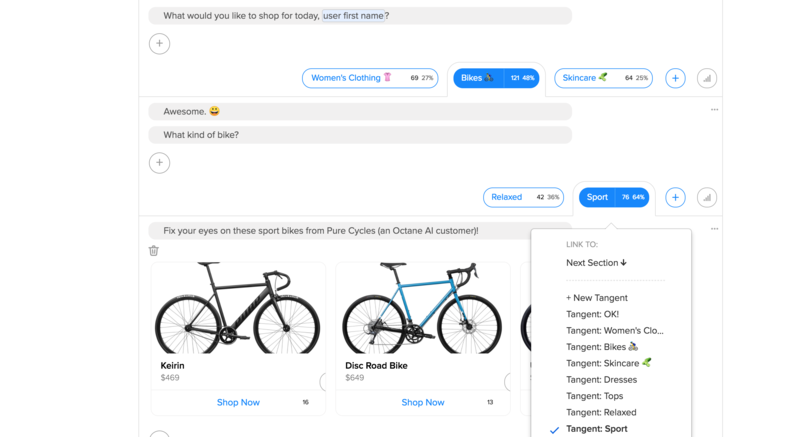 Next, include reply options for your customers to either end their product finder experience, or go back and start again. Write a conclusion for your Convo in its own tangent. For the Go Back or Start Over reply option, route this reply to the first tangent you created. This way, your customers will be able to go through the product finder as many times as they want, without having to redo the intro every time. That’s it! Chat with our example here for inspiration.